We're proud to be a trusted and well-respected member of the local community. We operate throughout the North West delivering a range of services and professional advice to farmers, businesses and individuals. 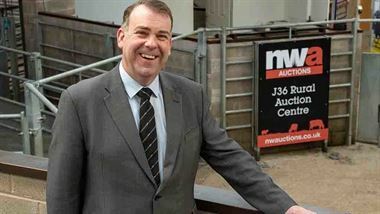 Our popular auction markets at Lancaster and Kendal value and sell pedigree livestock and farm machinery. Market days are a lively hub of activity where farmers meet, sell their stock, do business together and catch up with friends and neighbours. We are also farm business consultants and rural property and land specialists, including planning and architectural services. Through our sister company, 1818 Auctioneers, we value and sell fine art and antiques. Our sales regularly attract bidders from across the UK and overseas. At Junction 36 in Kendal, we offer the most extensive exhibition and conference facilities in Cumbria. We can host trade shows and conferences as well as smaller events and meetings. Please feel free to contact us anytime to discuss ways in which we can help you.